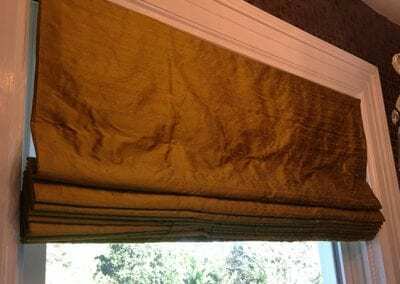 Diane and I help a lot of people with remodeling of their kitchen, bathroom or any other room in their house as well as new construction, and a lot of times we need to decide if our customers would prefer blinds or functional window treatments, silhouettes or any other kind of window covering. 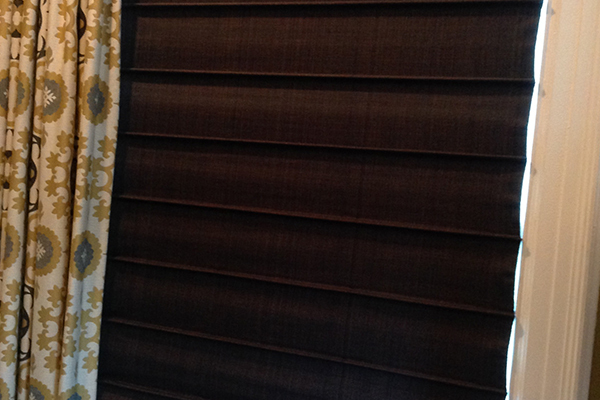 We also need to decide with our customers if they would like the window treatments to be functional or nonfunctional. 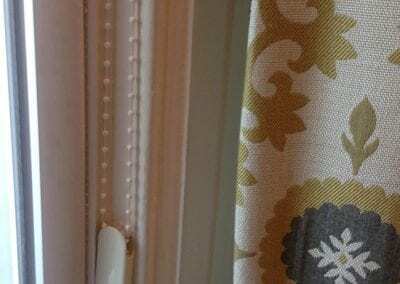 Usually this is not just a question of interior design and the overall look, but also what kind of functionality one is trying to achieve with it. 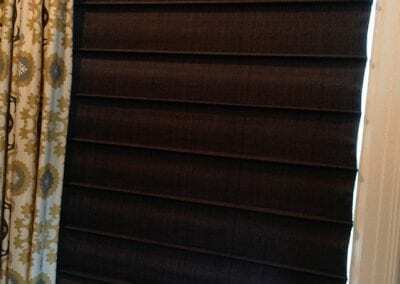 In this case I am talking about Roman shades. 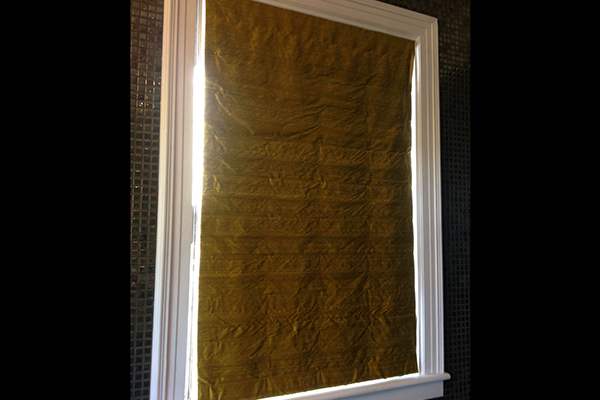 We manufacture a lot of Roman shades in our custom window treatment workroom, because not only are they able to give you privacy if needed, but you can also pull them completely up and get a view without any obstruction. 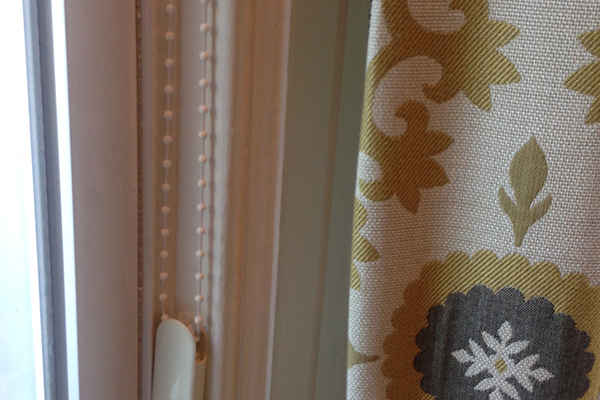 As you can see in the pictures our Roman shades have continuous cord chains that are being attached to the side of the window frame. 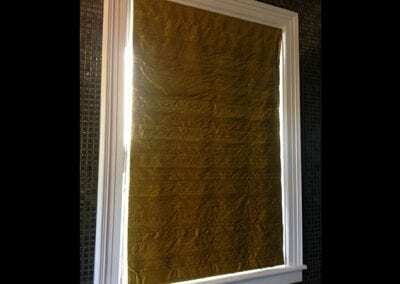 We like this because it looks clean and there are no cords hanging on the side without being attached to the frame. 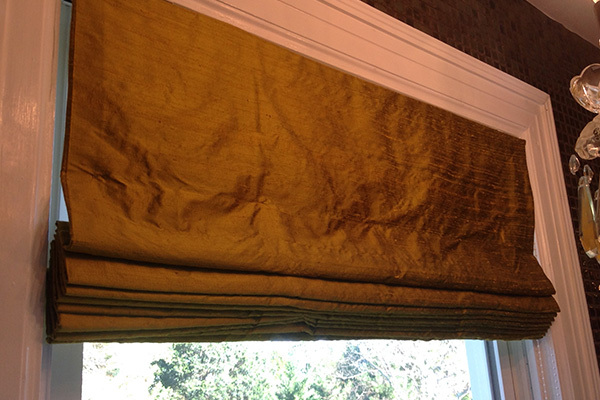 Also they are flat Roman shades which take less fabric them for example a hobbled Roman shade. So if cost is a factor this might help with the budget.